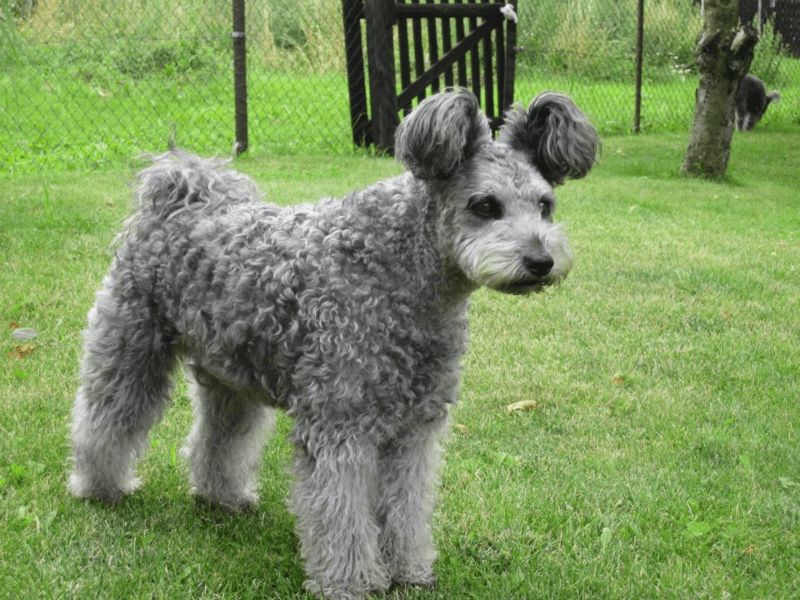 The Pumi is a dog usually bred to help shepherd cattle and sheep in Hungary, the Pumi is typically a small, intelligent and energetic herding dog who tends to become attached to family members quickly. its naturally wavy and curly coat isn’t difficult to groom, although it requires periodic trimming. The Pumi is an incredibly energetic dog breed that requires daily activity to help expend some of its energy, but once they’ve worked out some of their energy the Pumi is more than happy to sit around the rest of the day with you. Pumis are intelligent and very energetic. Pumis are quite vocal, and will often bark when they have nothing to do, or when they want something. Being a vocal dog, they are not recommended for apartment and some subdivisions where noise ordinances are concern. Pumis are very good with other people, as well as pets. They are wary of new people and will often observe people for a bit before approaching them. Being a herding dog, they will also have the tendency to nip at legs in an attempt to herd them, however, they respond well to training and as long as they are provided constant training, this won’t be a problem. Overall, the Pumi is a great choice as a family companion and will provide years of loyalty and spunkiness.